MAG Tactical Systems Gen-4 Ultralite Ultra-Lightweight AR-15 Rifle/Carbine/SBR Lower Receiver (and Upper Receiver): 35% Lighter than MILSPEC 5.56mm AR Receivers! | DefenseReview.com (DR): An online tactical technology and military defense technology magazine with particular focus on the latest and greatest tactical firearms news (tactical gun news), tactical gear news and tactical shooting news. Last week, DefenseReview's (DR) friend Rob Curtis over at Military Times GearScout reported on the MAG Tactical Systems Gen-4 Ultralite AR (AR-15) Lower Receiver, which cuts 35% of the weight off of a conventional MILSPEC AR lower. The "proprietary tactical alloy" (aluminum alloy) Ultralite lower weighs in at 5.875 oz (ounces) versus the MILSPEC AR-15 5.56mm NATO (5.56x45mm NATO)/.223 Rem. lower's 9 oz. The new lower was introduced recently at Modern Day Marine 2012, but we hadn't yet seen it since we didn't attend the show and we missed AR15News.com breaking the story on it on August 25th. While the MAG Tactical Systems Ultralite Gen-4 ultralight AR lower receiver's aerospace aluminum alloy is a 6,000-series-equivalent alloy versus aircraft-grade 7075-T6 aluminum, it's still (according to the company) plenty strong and coated with a proprietary "high-phosphorous nickel coating" that is then over-coated with the end-user's choice of boron nitride, boron, nickel boron, teflon electroless, Cerakote Ceramic (Desert Tan/Flat Dark Earth or Black) or DuPont Teflon One Coat. The high-phosphorous nickel coating provides hardness, while the additional coating enhances the anti-corrosion/anti-abrasion aspects of the receiver even further. Bottom line, MAG Tactical maintains that 7075-T6 aluminum is unnecessary for their receiver(s) due to their alloy's and coating(s)' respective mechanical properties. – The GEN 4 receiver has an integrated trigger guard that will allow the use of cold weather gear. – The GEN 4 receiver has reinforced trigger & hammer axle pin placement points. – The GEN 4 front pivot pins are reinforced to eliminate any fracturing during torque when receiver is in the break down position. Defense Review spoke with both Bill King (owner) and Scot Ashworth (marketing director) by phone last night, and one of the first questions we asked them was if MAG Tactical Systems also plans to manufacture a Gen-4 Ultralite AR upper receiver. It just seemed like an obvious and logical question to ask. And, guess what? They do, they will, and it will probably be available by Christmas. Just like the lower receiver, the Gen-4 Ultralite upper receiver will cut 35% of the weight off off a MILSPEC AR-15 upper. Our next obvious and logical question? What about AR-10/SR-25-type 7.62mm NATO (7.62x51mm)/.308 Win. lower and upper receivers? Yep! Those are next. Frankly, an Ultralite 7.62mm lower and upper interests DR even more, because that's where the (weight) score can really change. Just like on the 5.56mm receivers, the 7.62mm receivers will enjoy a 35% weight savings advantage–and 35% off a MILSPEC AR-10/SR-25 upper and lower is an even more palpable change, because 7.62mm ARs are significantly heavier than 5.56mm ARs. The only downside is that the 7.62mm lower(s) and upper(s) are about a year out. Remember, patience is a virtue, especially when you want to get it right the first time. MAG Tactical Systems will manufacture both semi-auto-only and select-fire/full-auto 5.56mm and 7.62mm lowers, eventually. DR has been informed that the company has, to date, approximately 15,000 rounds through a select-fire/full-auto gun with a Gen-4 Ultralite lower. DR's been told that the Ultralite lower generated a lot of interest from a number of major manufacturers at Modern Day Marine, but we haven't yet been cleared to name the companies. The Ultralite lower has a current MSRP of $169.95 USD, and DR's been told that the Ultralite upper is expected to have a similar MSRP. Defense Review hopes to T&E the MAG Tactical Systems Gen-4 Ultralite 5.56mm lower and upper receivers, soon, so we can see for ourselves just how significant that 35% weight reduction feels, and how it effects weapon balance and handling qualities of an AR-15 carbine and SBR (Short Barreled Rifle)/sub-carbine, respectively. Any weight savings is a plus, of course, but how much will we be able to feel it, particularly while going through 2-5-day tactical carbine course? By the way, DR was also informed that MAG Tactical Systems will also introduce their own extruded aluminum quad rail system/forend rail tube in 6-8 months. The Ultralite rail system will of course be made out of the same proprietary lightweight alloy. Check out the MAG Tactical Systems Facebook fan page for more info on the Gen-4 Ultralite lower (and upper, when it becomes available). 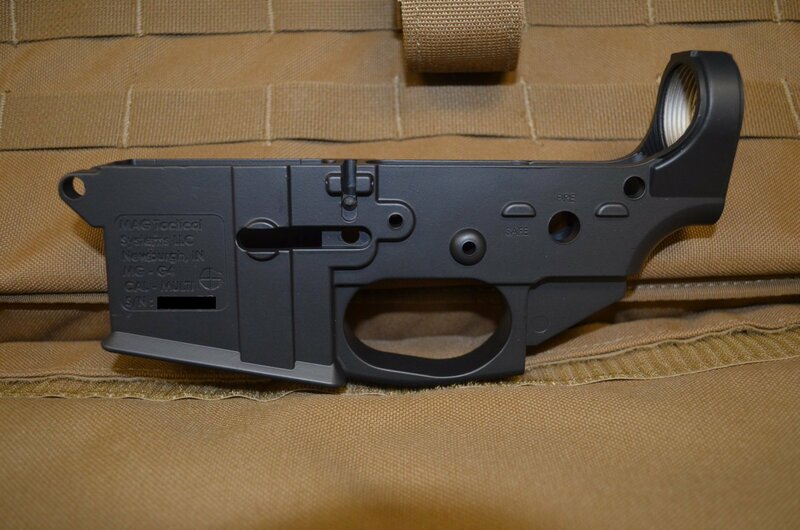 The MAG Tactical Systems GEN 4 Lower Receiver is the newest lower to hit the market. 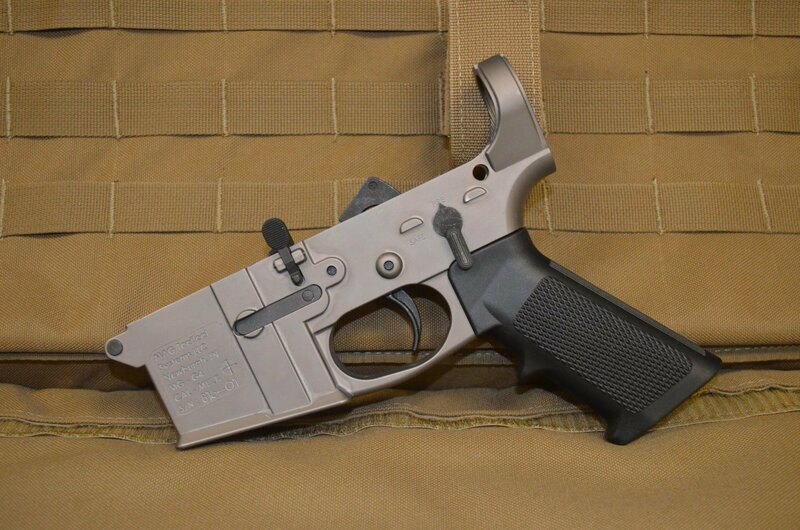 The GEN 4 is approxi-mately 35% lighter than any GEN 1 aluminum lower, and is still a metallic component. No plastic, carbon fiber, or polymers. The GEN 4 receiver is made of a proprietary tactical alloy. MAG Tactical Systems owns the pat-ent on the coating process for this material which creates excellent corrosion characteristics. What makes the MAG Tactical Systems GEN 4 Receiver different? • The GEN 4 receiver has an integrated trigger guard that will allow the use of cold weather gear. • The GEN 4 receiver has reinforced trigger & hammer axle pin placement points. • The GEN 4 front pivot pins are reinforced to eliminate any fracturing during torque when receiver is in the break down position. The overall design of the GEN 4 receiver has been streamlined for the Modern Warfighter! ©2012 ADS, Inc. The ADS logo is a registered trademark of ADS, Inc. F0356 9/12"
Spike’s Tactical 5.45x39mm Russian Mid-Length Tactical AR Carbine/Rifle: The greatest training gun ever…if you have to buy your own ammunition, that is.